Belbroughton Tennis Club – the hidden gem of Hereford and Worcestershire! Tucked away down a track in the small rural village of Belbroughton you’ll find the village’s Recreation Ground and next to it Belbroughton Tennis Club. 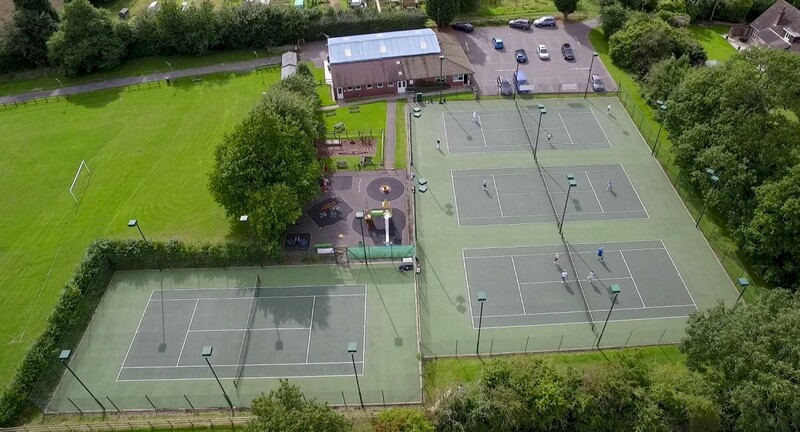 Arrive on any weekday from 4pm onwards and you may be surprised to see all 4 courts in use and a buzz of excitement surrounding this small village club. The coaching programme run by inspire2coach sees Level 4 Head Coach, Sarah Coverdale supported by coach Zoe Ashman, welcoming nearly 200 players on court each week to enjoy top quality coaching (even through the winter months). Zoe has been a lifelong member at the club and chose tennis coaching as a career having developed a love for the game whilst playing as a junior. Since Sarah’s appointment as Head Coach in December 2014, the coaching programme and consequently, the club, has gone from strength to strength. Not only are players encouraged to play in their lessons but internal match play, fun competitions and entry into local LTA competitions is part of the coaches’ remit. Success for 10 & Under Aegon team winning their Division in the summer has been followed by individual success – many players taking the step up to Grade 4 events, including William Hunter who was runner up recently in the 8&Under at the Alcester Autumn Grade 4 and Oliver Badger who won the Redditch Red event and has gone on to compete in his first Grade 3 competition. The club offers a full complement of adult coaching from Cardio tennis, Beginner, Drills sessions to individual tuition . Juniors have weekly match play, tennis camps in the holidays and themed events. The recent tennis leaders course tutored by Sarah saw 12 kids aged 13 or older completing the award and taking their first step towards a career in tennis coaching. However, the biggest success by far is the general sense of excitement and desire to play tennis at the club which has come from a coaching team that just love playing and teaching the game. With an additional coach now helping out and a recently recruited apprentice coach, the club will only keep growing and the standard improving – the sky’s the limit!